Our mission is to use football as a tool to connect, develop and mentor youth. To create a safe and positive environment for all our participants. To instill the values of commitment, hard work,sportsmanship, and teamwork. Our Teams: Teams are based on age. 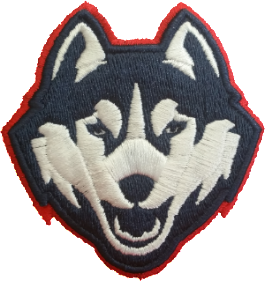 *Upon approval by the Jr Huskies staff and coaches, a parent can elect to have the child play up one grade level. A $100 equipment deposit is required. The deposit will be returned when all checked out equipment is back to us. If any equipment is lost, it will be deducted from the deposit. Our Coaches & Teams: All of our coaches are required to have the USA Football Coaching Certification. Additionally, each coach will participate in the USA Football Concussion Awareness program. Rosters will be given to coaches at the Coach's Meeting. Coaches will contact each family and player prior to the beginning of the season. All players are required to have a physical before starting practices (can be completed by your doctor or Urgent Care & must be current). Players will need to provide a copy of their birth certificate/proof of grade to their coach for team weigh-ins. Our League and Season: We are members of the Metro Youth Football League (MYFL). Games typically begin late August to early September. The season goes through October or early November. Teams will play 8-9 games during the season. Game days are primarily on Sundays. Game Schedules are usually posted 1-2 weeks prior to first game & schedules are set by the League, not the Jr. Huskies. Practice times & locations: Practices are typically Tuesday and Thursday evening at Northwest High School. Schedules are subject to change. Summer Conditioning: July 6th to July 25th. Tuesday and Thursday evening. Warren Academy: Warren Academy’s sports performance training programs will maximize each athlete's full potential through functional training methods. Our training system will improve EXPLOSIVENESS, FLEXIBILITY, SPEED, AGILITY, AND STAMINA. We help athletes of all levels shore up weaknesses, decrease injury risk, and build strength and power. Register and take advantage of the $8 per session team rate for strength and conditioning class opportunity! See information and registration on the Sports Performance page. Camps and Clinics: Team camp will be on July 15th. All coaches will be required to attend our Coaches Clinic July 11th and 12th. Want to help? We encourage all parents interested in helping with the program to contact our management team to see what opportunities are available.